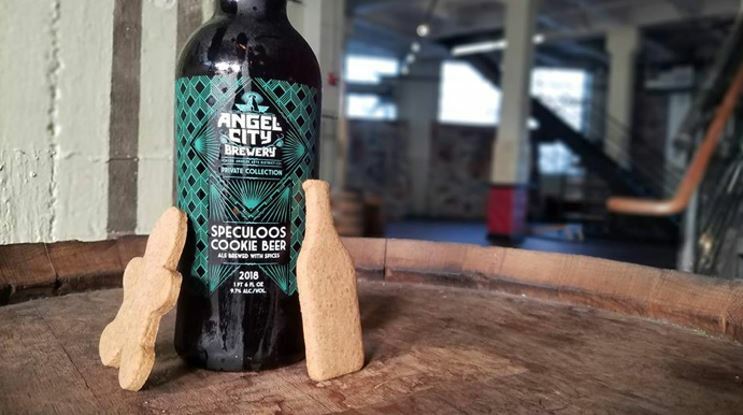 This winter seasonal arrived at the tail end of 2018, and we’re finally turning our attention to LA-based Angel City Brewery’s Speculoos Cookie Beer, a beer brewed in honor of spicy Dutch/Belgian shortbread cookies typically baked for the holidays. Brewed with cinnamon, nutmeg, ginger, white pepper, cloves, anise, and brown sugar, it’s a boozy treat that certainly comes across as authentic and holiday-friendly. Those cloves and nutmeg notes pop vividly, and plenty of sugar does a great job at masking the significant amount of alcohol in the bottle. One would be forgiven for not even realizing this is an actual beer, save for the copious amount of malt that lingers on the back end. Served party-style, consider this a beer-lover’s alternative to a small glass of gluhwein or glogg. Sorry we missed it in time for Christmas!